After going for awhile without hearing much new Archie comic-related news, two comics announcements were made on Tuesday. 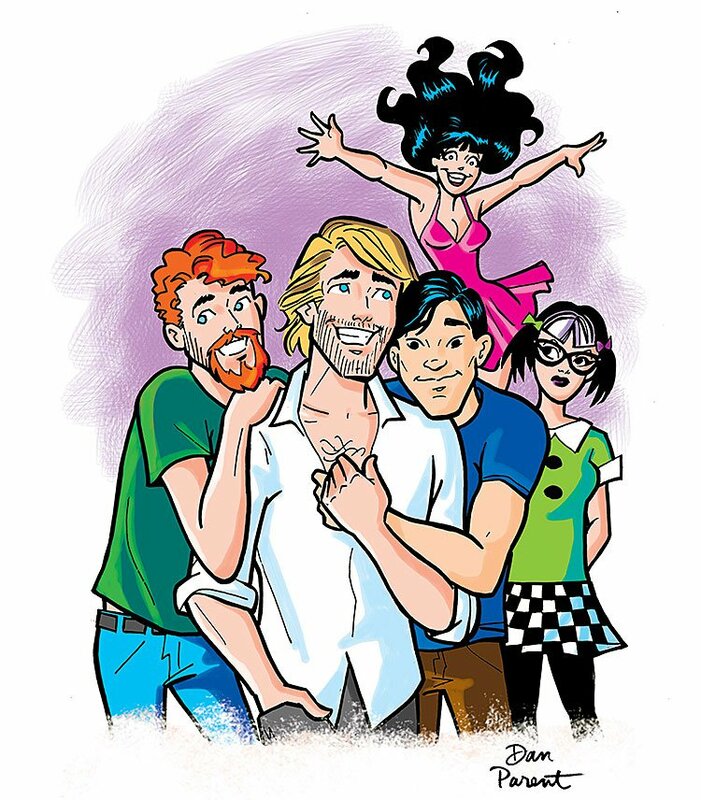 Kevin Keller‘s finally getting his long-promised series, scheduled to start in June as (for now) a four-issue miniseries, set in the traditionally done Archie setting. The series (written and drawn by Dan Parent; inking by J. Bone) will follow Kevin’s life as an adult just out of college, where he’s moved from Riverdale to New York City. It looks like following him to the Big Apple are Shrill (one of the “New Kids” that were introduced to Riverdale High a few years ago) and core Archie character/Kevin’s “BFF” Veronica. There’s also a few new characters… one of them a potential new boyfriend? There’s no indication if Clay Walker will appear. 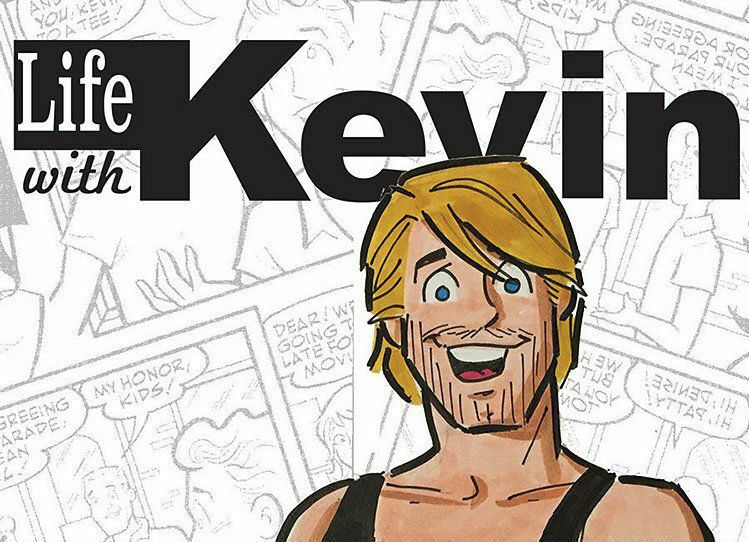 Clay was Kevin’s husband from the “Life With Archie” series, which was also set during Kevin’s adulthood, though apparently in an alternate future to this new series’ setting. The new series is getting some racial diversity, though—it looks like one of Kevin’s love interests is Asian-American. The series is being released digital-first. Presuambly it’ll get a print trade paperback release sometime in the future. 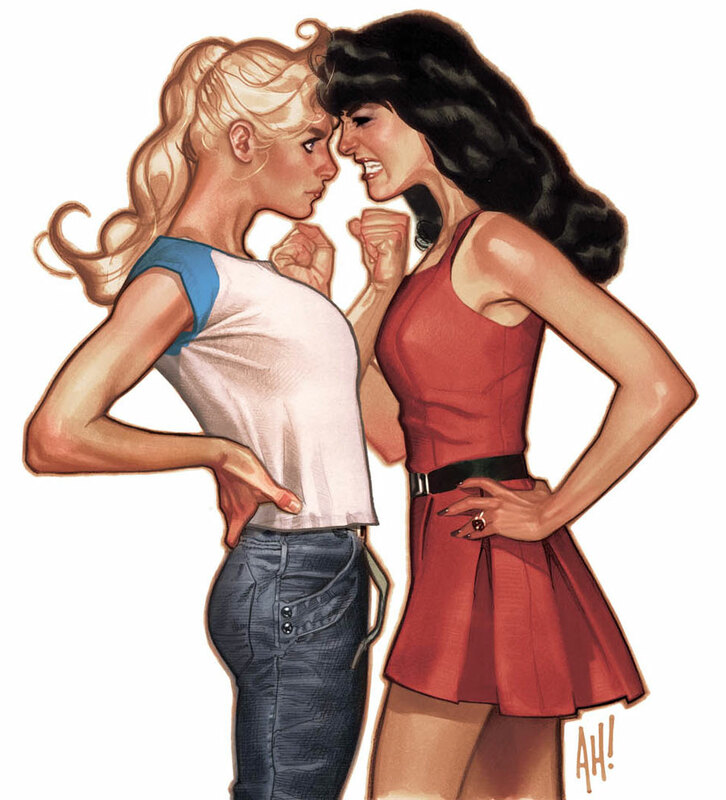 The other news is that longtime Archie title “Betty & Veronica” will be relaunched as an ongoing (paper) comic, with issue #1 coming out on July 20th. The series will be written and drawn by Adam Hughes. It looks to be set in the same ongoing continuity as the current “Archie” and “Jughead” reboots. The initial storyline will be an old Archie stand-by, something threatening to put Pop Tate’s “Chock’lit Shoppe,” the gang’s favorite hangout, out of business. The fight to save the soda shop is what divides Miss Cooper and Miss Lodge into separate camps, which gets the rest of the gang involved. There’s no indication if this series is out monthly or every two months. The previous series was reduced to being a bimonthly title by the time it was cancelled. Previous Post:Panama Papers hack from ignoring basic WordPress security measures?